Are you looking for groomsmen duck calls? I offer wedding gifts for groomsmen or any special occasion which might demand a larger order of calls. The price ranges for the allotment calls depend upon wood species chosen, complexity of design, time demand and a few other factors. Oft times, when ordering an allotment, the per unit cost decreases. Your cost will not be hidden and is provided after some thought has been given to sourcing material, time demand, etc; I will provide you with a cost and the shipping. I do not make money off of any shipping or handling. I offer engraving on the groomsmen duck calls. Laser engraving and fine hand engraving of dates, names, cliches’, ‘thank you’ and depending upon complexity- small icons and simple graphics. Please contact Chris to discuss your design thoughts. Please note: turn around time can take up to 12 weeks when placing larger orders. 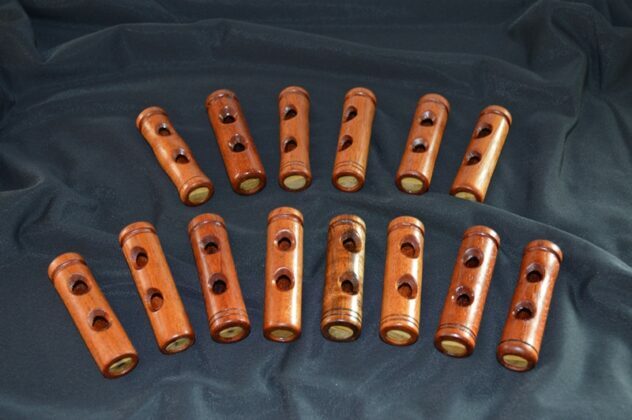 All calls and whistles are designed by hand and are not mass produced. Thanks for your interest and support. 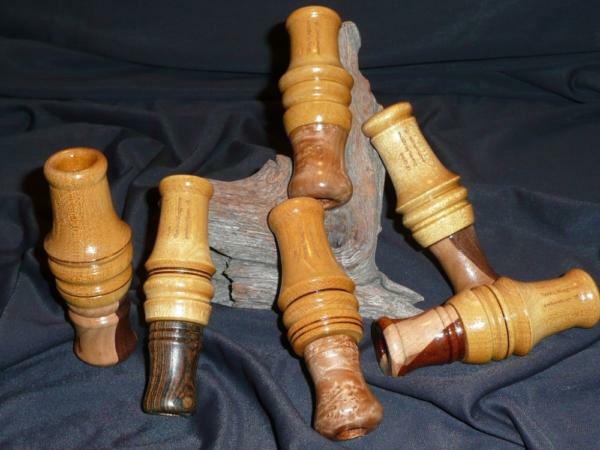 I can make an allotment of single or double reed Louisiana style duck calls, 6-in-1 duck whistles, calls for Wood Ducks or Turkey Pot Calls.